Wike visit Benue, donates N200m IDPs – Royal Times of Nigeria. 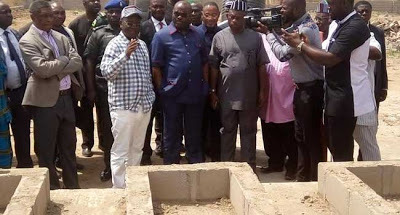 Governor Nyesom Wike of Rivers state during his visit to Benue donated N200m to the people of Benue who were displaced from their homes following herdsmen invasion of their communities. The governor said the donation was for the purchase of relief materials and medicine for the displaced persons. He was also at the grave side of over 70 people killed during the unfortunate incident alongside the Benue state governor. Wike then called for comprehensive measures to resolve the unfortunate killing of Benue people by persons suspected to be Fulani herdsmen.